As Jared mentioned yesterday, Louisville is hosting defending champion #3 Florida State for a three game set. Previously scheduled as a Saturday-Monday daily matchup, impending weather caused UofL to shift the games to a double header on Saturday, with Monday's game remaining in place. ESPNU will have this one on the air, just as they did the Monday matchup between the two teams last season. Conveniently, the televised game between the two last year was Louisville's best showing, as the Cards fell to the Seminoles in Tallahassee 1-3. 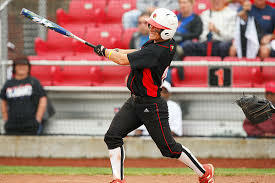 The previous two games on the weekend saw Louisville outscored 12-0. Of course, at that time, Florida State was well on their way to a 58-12 season and a national championship. Louisville will be looking to avenge those beatings from last season, especially since this season sees the Cards hosting, but Florida State is not much more vulnerable than before. The Noles currently sit at 36-3, and while much was said about their loss at Grand Canyon early in March, no one really mentioned that FSU won the second game of that two game series 11-1 in 6 innings the next day. Of Florida State's losses this year, only one was by more than 3 runs (Arizona beat them 11-3) and Arizona was the only team FSU didn't dominate in their other meetings. Notre Dame took the middle game off of the Noles, only to find themselves losing the other two by a combined 16-1 scoreline. Florida State still beat Arizona in their other games of the series as well. The bottom line is this: Florida State is good, still. It was exciting to think that they might be in trouble when they lost a game they shouldn't have, but teams do that all of the time. Louisville will need to be locked in to make some noise this weekend. They've shown in previous matchups this season that they have the talent to go toe-to-toe with top softball powers and this will be a three game series to show that definitively. The first game gets underway at 1PM today, with the second game to follow. It should be a beautiful day, so if you're able, get out to Ulmer and root on the Cards. If not, both games are available on the ACC Network Extra. Who is the best guard in D1 women's basketball? 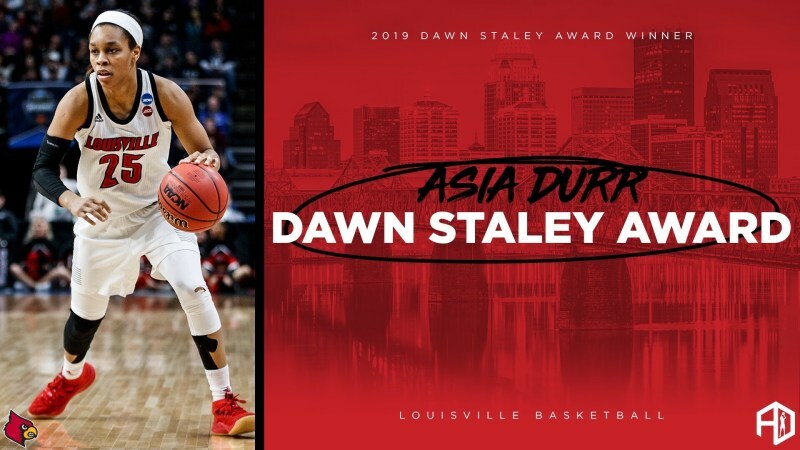 Why, look no further than Asia Durr! Another trophy in the bag for Louisville's one-of-a-kind sharpshooter. The Dawn Staley Award is presented yearly to the best guard that embodies the skills Staley had in her playing time, on offense and defense. Asia will be officially awarded the honor in Philly, Thursday April 11th. In addition to the third ranked Florida State Seminoles, Louisville will play host to the fifth ranked North Carolina Tar Heels today. At 4-9 so far this year, Coach Teeter is not having the season I'm sure he hoped, but there is a lot more to look at than just the overall record. The Cards have played a tough schedule, and, of their 9 losses, 5 have come by three or fewer goals, and 4 have been just one goal losses. 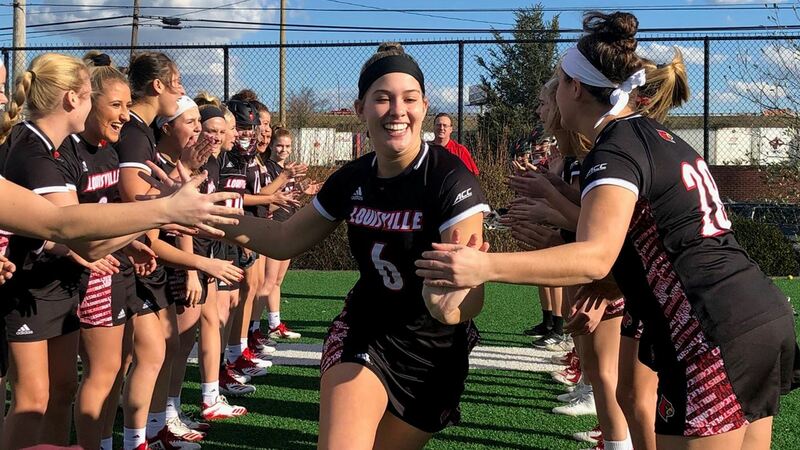 Louisville has been strong offensively, even against top teams, being held to fewer than 7 goals just twice; once in the second game of the season in snowy Denver and the other in a tough road matchup against Notre Dame. The Cards have lost three in a row, but the last two have both been by one goal apiece. Today's game will be a tough one, but we'll see what the Cards can put together against yet another top team. The game gets underway at 12PM which means we'll take you right up to it with the Cardinal Couple Radio Hour. It's available on ACC Network Extra. In what should be a surprise to no one, Mallory Comerford and Arthur Albiero weren't finished bringing home hardware after the National Championships over the last couple of weeks. Yesterday, it was announced that Comerford was the ACC's women's swimmer of the year and Albiero was the conference's coach of the year. I think you could make an argument that Comerford, a two-time individual champion this year alone, could be named the overall swimmer of the year for the conference, but I don't think that they have that award, so we'll just remember it for ourselves here at Cardinal Couple. Rowing had a good first day at the Sunshine State Invitational yesterday, coming up a little short (just over 9 seconds) from competing in all four grand finals this morning. The Cards are competing in grand finals for Varsity 8, Varsity 4, and 2Varsity 4. They'll be in the petite final in 2Varsity 8. Louisville qualified 2nd overall in Varsity 8 and will look for their best finish of the season if they can grab wins in multiple finals this morning. We'll be back in the studio today with a full(ish) house. Daryl and Paulie elected not to go to Tampa without the Cards, so they'll join Jared and me on Mellwood as Jeff checks in from the Highlands. We're grateful to Monk for stepping back into the engineer role for us as Jeff is out this week. Jeff will bring us a report directly from the KIVA event, and we'll preview softball, talk about their last two games, and look a bit at the Final Four that started last night (RIP my bracket hopes). Tune into WCHQ FM at 11AM for the Cardinal Couple Radio Hour. The show is available at 100.9 FM, the WCHQ App, wchqfm.com, and on Facebook Live. Big happenings on Floyd Street today. I just hope it turns out favorable for the Cards. Hosting two top five teams is always a challenge and, once again, I have to shake my fist at the ACC schedulers for scheduling games on campus at the same time. Couldn't they have, say, scheduled softball later, after Lacrosse? Yay! For Asia! I'm sure Arike and Muffet aren't dancing an Irish jig about that, are they?